Off-site adventure trips offer an experience to last a lifetime and provide an amazing experience for kids and counselors alike. In addition to being non-stop fun, the trips also provide a valuable learning experience by teaching self-reliance, responsibility and basic outdoor survival skills. Participants cook their own meals, set their own tents and learn other valuable skills. All participants will leave with a newly earned sense of accomplishment and a better understanding of what it takes to spend a week in the outdoors. We offer trips throughout Wisconsin and Northern Michigan. 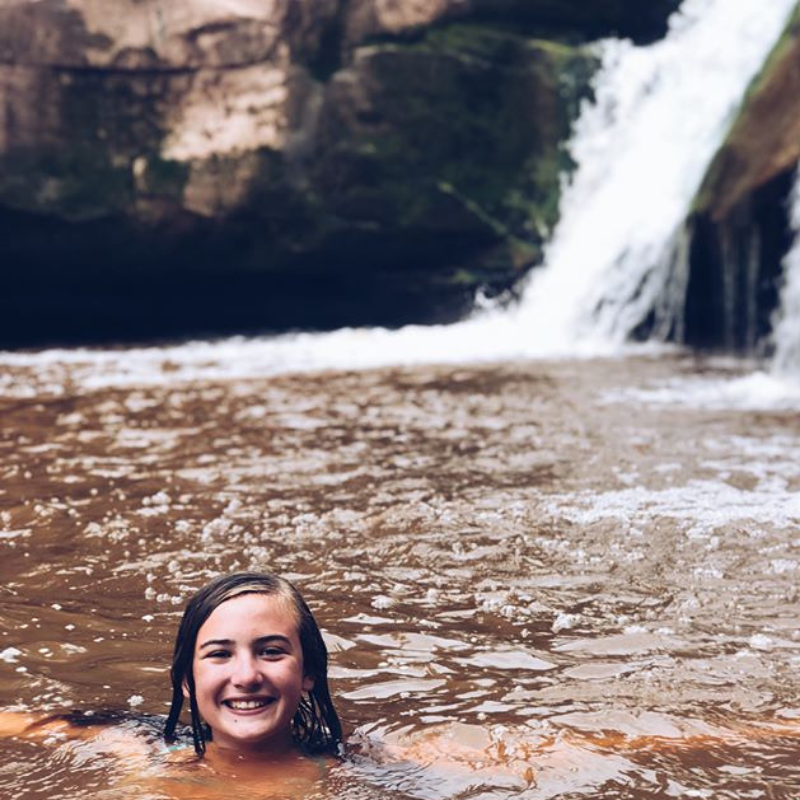 Kayaking and hiking around the Apostle Island National Seashore, paddling throughout Sylvania Wilderness, rock climbing at Devils Lake, paddling the Wisconsin River and exploring Pictured Rocks National Seashore by boat and foot are just some of the opportunities offered. The Pictured Rocks National Lakeshore consists of 40 miles of Lake Superior shoreline in Michigan's Upper Peninsula and we will explore and play in just about all of it. Our adventures will include kayaking various shorelines, swimming in the huge waves at Miner's Beach, exploring Miner's Castle, and taking day hikes to secluded beaches and waterfalls. Each night will be spent around the campfire taking in the magnificient North Country stars. This is truly one of the most magnificent areas of the Midwest and a "must" for the camper that loves nature and adventure.To register for this camp, please complete the registration forms found in our 2019 Summer Camp Brochure. The 21 islands collectively known as the Apostle Islands are referred to as the Jewels of Lake Superior. The best way to explore the area is with kayaks. The week will be spent camping, swimming, kayaking, hiking the cliff trails and take a waterfall river walk. The highlight will be a kayak trip to the sea caves led by a local outfitter. To register for this camp, please complete the registration forms found in our 2019 Summer Camp Brochure.